My wife was messing around the other day with a sample of a five minute flowchart that I had printed out. She moved it around on the desktop and tried it in different formations. 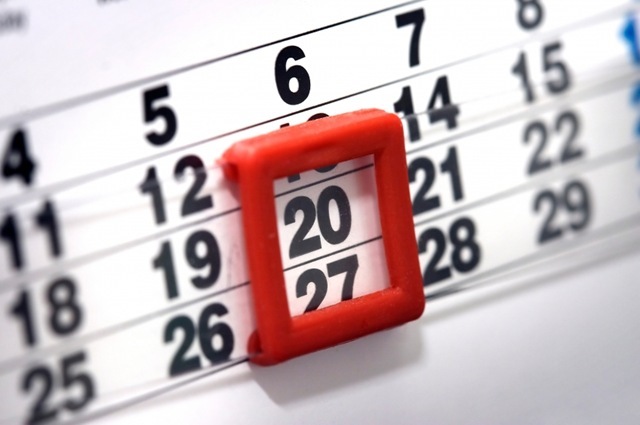 She came to one conclusion… “You need to make this into a weekly calendar,” she said with a smile. 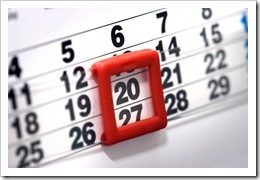 I thought to myself… a weekly calendar….hmmmm… what would I need on a weekly calendar that would fit on a business card? I tried some different things and I realized that I would need to keep this simple to be effective. I currently use Outlook as my calendar of choice, so I wrote down the things I use it for. 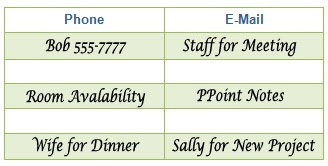 While Outlook works well for appointments, it’s clumsy for the other three on the list. Those are usually delegated to my daily goal sheet that sits by my computer. 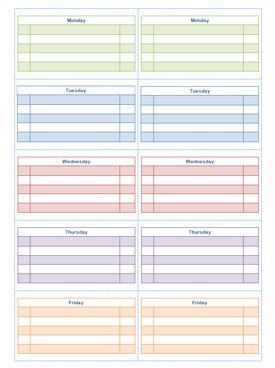 But creating a printable weekly calendar card based calendar would give me additional flexibility. I could easily take it with me in my pocket or wallet and I could easily display the cards on my desk in a plastic holder. My wife was on to something here. 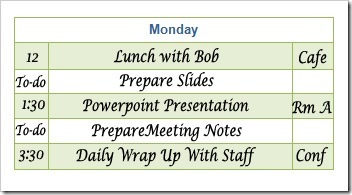 With her feedback, we came up with a simple 5 day business card based calendar. We added color for additional versatility, and made them two sided for maximum information. 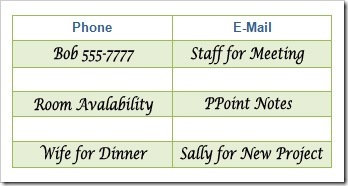 The back side of the card has a place for phone calls and e-mails. You can put the cards in a card holder on your desk for instant reference and as a constant memory jogger. 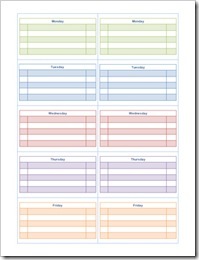 The cards come in five different daily colors and two weeks of cards are printed on one sheet for added value. 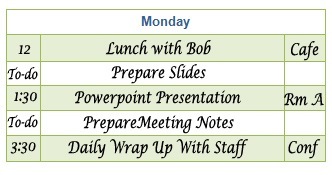 Since they are provided in Microsoft Word templates, it is easy to add text in MS Word or just print them out and use a fine tipped Sharpie. Both Word 2007 and 97-2003 versions are included.